We have just finished an amazing kitchen renovation, and the other day as I was sitting there admiring the handy work, and my eyes kept getting caught on the plug ins and light switches! I wanted to do what I could to hide them as best as possible. This is what I ended up doing ! 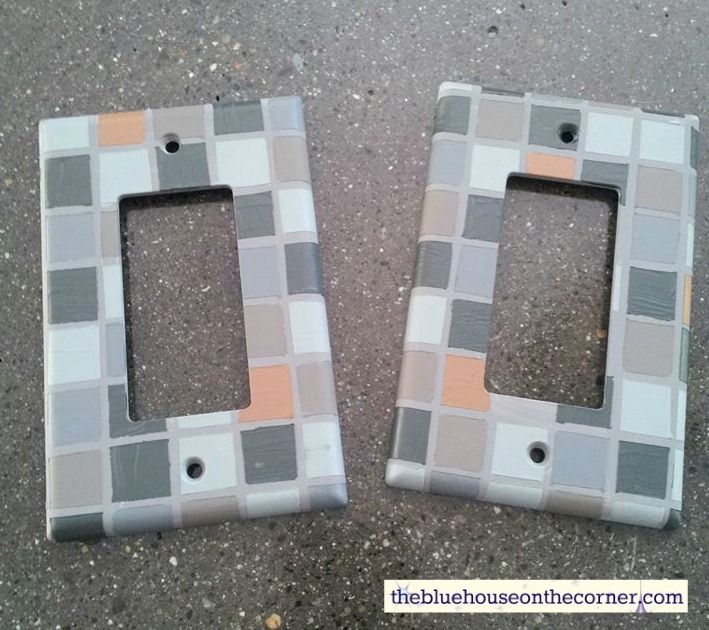 I brought a piece of my back splash into the paint store and starting matching up the different colours of tile. 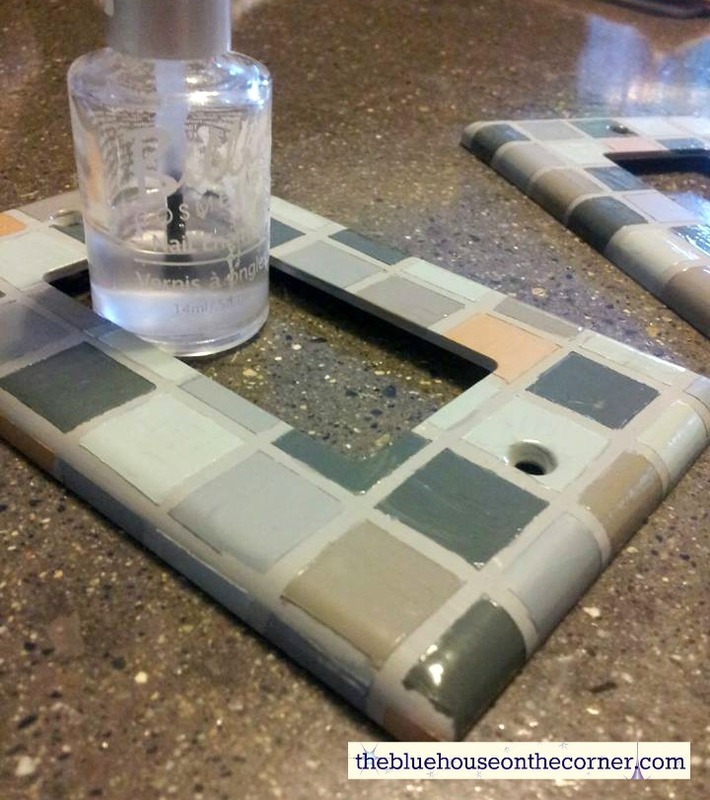 **Don’t forget the grout colour** A great way to get a really good match is to actually cross your eyes slightly! If it disappears when you do this, then you have a good match. Because I had 10 or more colours of tile, I ended up mixing a lot of my own paint to match. I used some house paint that I had left around and then also some craft paint. I mixed the colours as close as I could. This step doesn’t have to be perfect. I just did one coat, it wasn’t the best coverage, but I knew it would be hidden soon enough. The only tape I will ever use is Frog Tape for it’s amazing no bleed qualities, it is such a time saver! 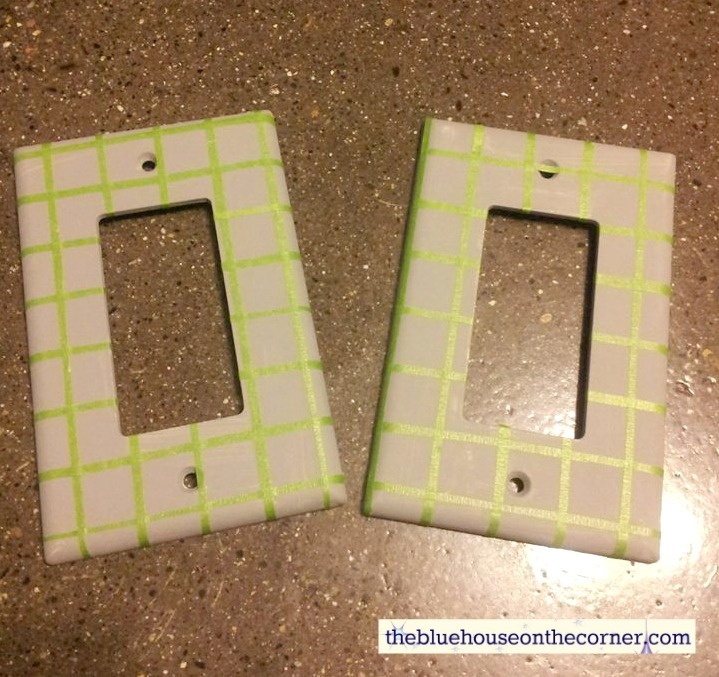 Unfortunately there is no tape on the market as thin as I needed for this project, so I just cut thin strips and put them on the outlet covers. 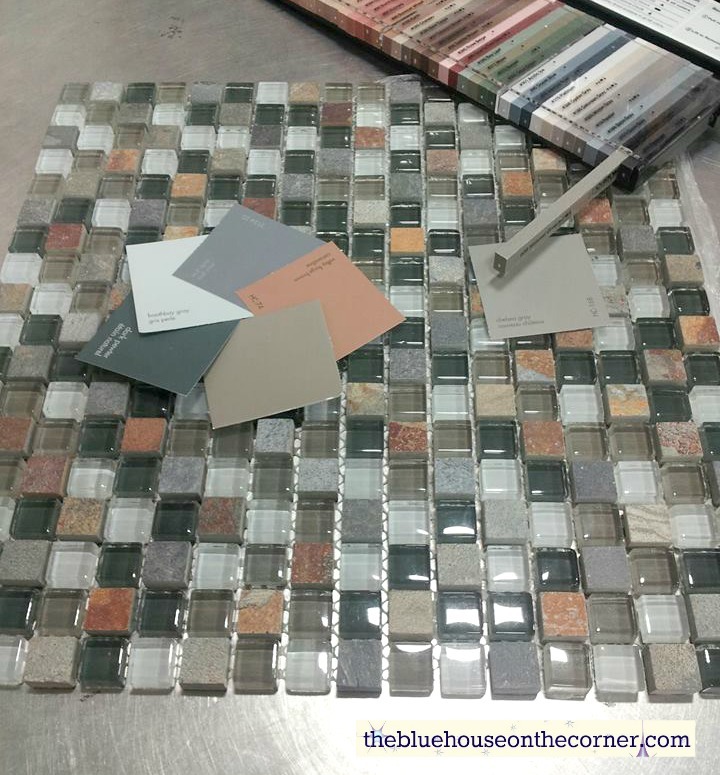 Make sure you match the same tile widths as best as you can so it looks the best. 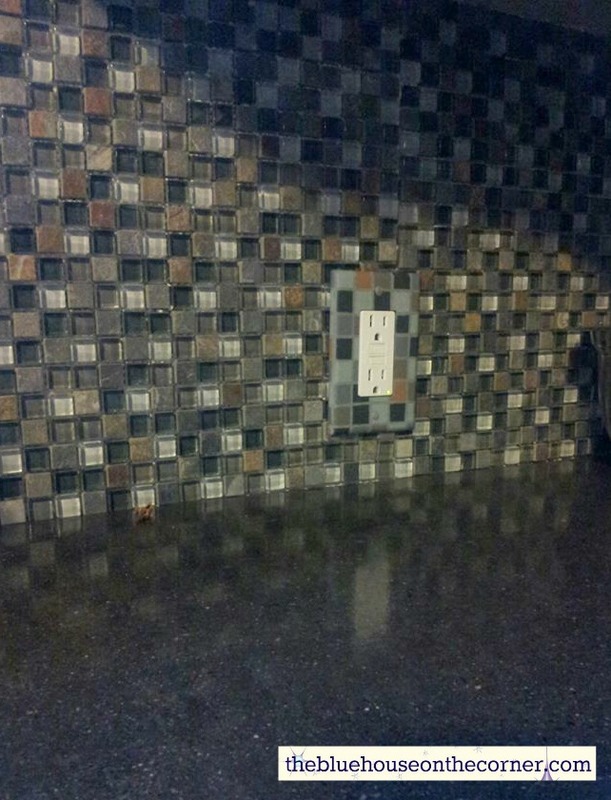 Try and mimic the same back splash that you have as best you can with it’s randomness. 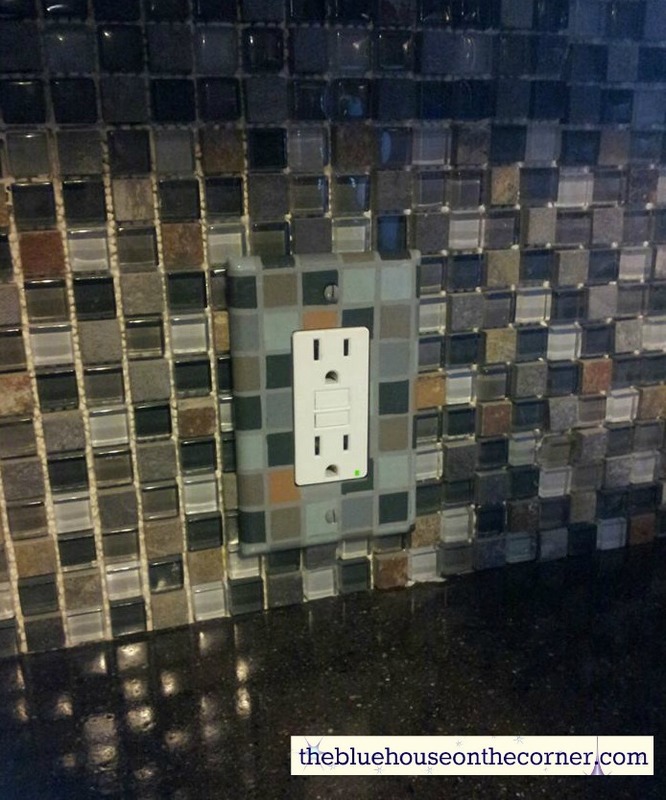 Some of the tiles in my back splash are glass, so I took my high gloss nail polish and went over those colours, giving the outlet cover a more authentic look. 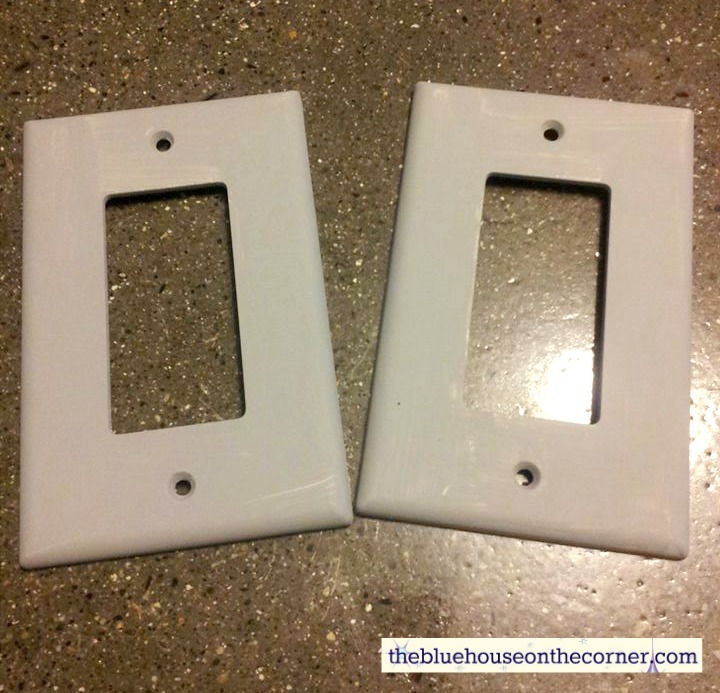 Attach all your new outlet covers and VIOLA! Although it isn’t exact, it looks a lot better than the full white covers that were there before. 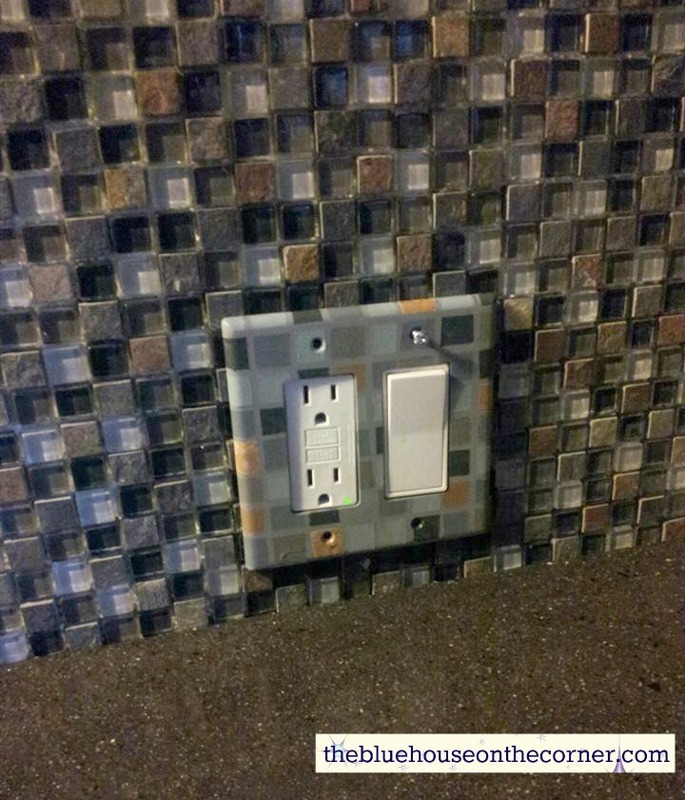 Now I am motivated to actually grout the back splash! 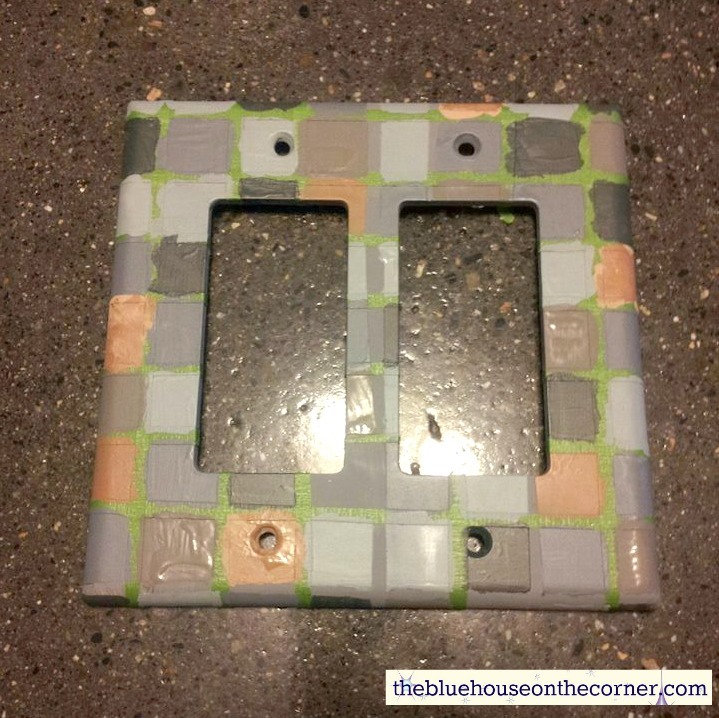 Thanks for checking in at The Blue House On The Corner.